What does a community look like that values…community? They spend time together. They enjoy each other. They cross divisions to be together. T here are many divisions within Portland. Portlanders love their neighborhoods. Civic pride is as high here as I’ve ever lived, including New York City. One thing that unites Portland is cycling. This is a bike happy town. The bike path system is amazing, yet Portland cyclists yearn for improvements. There are cycling shops on every other corner. There are cycle paths on both interstates crossing the Columbia River into Washington state. The buses have bike racks. And today, I couldn’t use the bus because the bike racks were already full. Where were they going? To Sunday Parkways! Sunday Parkways is a monthly event whereby city streets are closed to motor traffic, allowing cyclists to ride traffic free through the neighborhood. 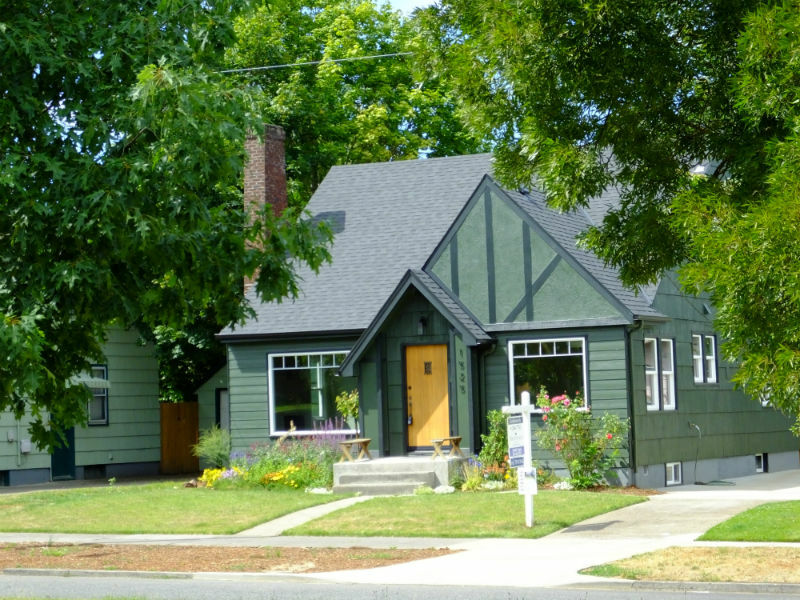 This month Northeast Portland was the featured neighborhood. The cycle path joined several parks which hosted activities for kids. And neighbors set up their own tents to enjoy the weather and cycle watch. We bought lemonade from a high school student taking advantage of the foot traffic. One of the benefits of Sunday Parkways is that we took a slow, street level view of the Northeast neighborhoods. We noticed small businesses, met people and even noticed houses for sale. It made the neighborhood feel desirable. I didn’t look at my phone the whole time. I just took pictures, played with my kids and became endeared to the town and the neighborhood. Additionally, there was a celebration of beer on the waterfront and The Big Float, an invitation to tube down the Willamette River. All of these events were well-organized and well-attended. And invitations to each of these events were hard to miss. What I have learned through these events is that Community Matters. People want to be together, doing things that are important, fun and useful. Portland, I learned, has the highest number of non-profits per capita in the nation. It also leads the nation in microbreweries and bicycle usage. It even has a non-profit pub. The group sponsoring The Big Float exists for the sole purpose of promoting play and fun in the Willamette River. The burning question I have is ‘who is included in the community?’ and ‘who is left out of the community?’ While I am impressed by Portland in many ways, I worry about the poor, the elderly and the immigrant. In the past, the neighborhood has scuffled with Sunnyside UMC over the church’s welcome of the homeless. These are communities in which the Church takes particular interest. So as I am becoming acquainted with this marvelous town, I am on the lookout for excluded. Finally, I thought about Sabbath. Sabbath is essential to community. And those who get no Sabbath get no community. Seemingly, Portland takes more Sabbath than allotted to it. But I think about all the rat racers who need time off. And I think of the below living wage workers for whom the Sabbath was designed. Sabbath is a break from the hubbub, a break that reconnects us to our community, to creation and to ourselves. As I am working full-time for part-time compensation, I wonder if I should just go out and take a break. The city is talking. And the message is more compelling than I expected. Saw the Hollywood District library, which is awesome. Learned a lot about Sunnyside UMC’s history. Next Next post: Ministry Context or What I Learned about Portland Last Week — Bridges!